This trend development may be a harbinger of what may be in store for the coming years. 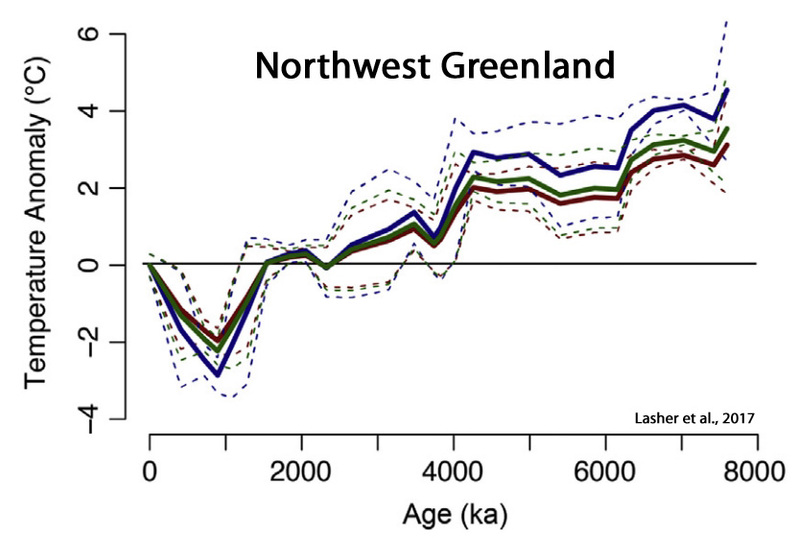 Shifts in North Atlantic temperatures typically lead changes in the Arctic by a few years. 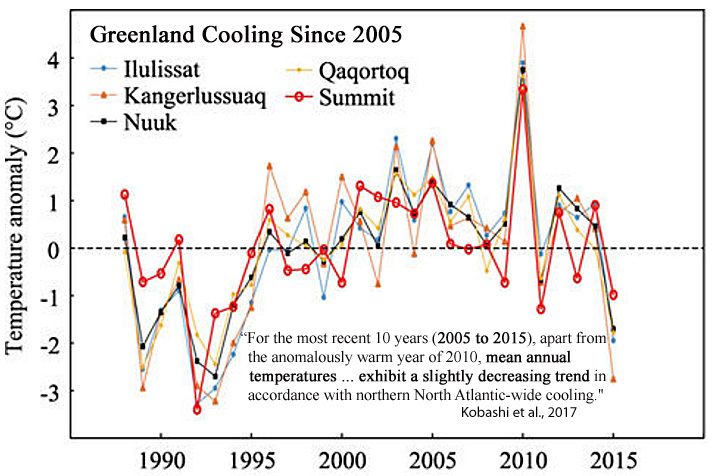 And throughout the North Atlantic, rapid cooling has been underway since 2005, plunging below the levels reached in the 1950s. 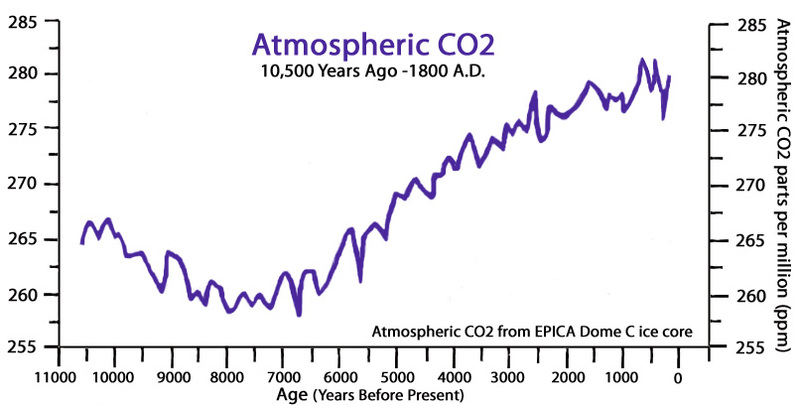 Between 10,000 and 4,000 years ago, atmospheric CO2 concentrations were almost 150 ppm lower than they are now (~260 ppm). 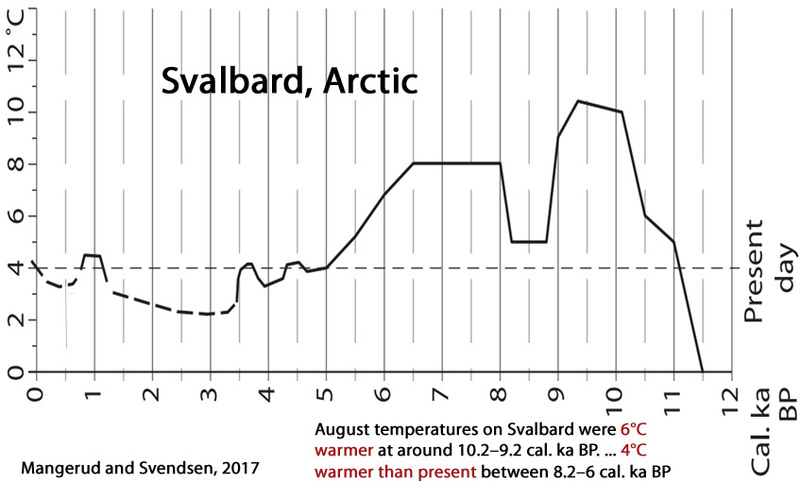 Despite such low CO2 levels, the Arctic region was several degrees Celsius warmer than it has been in recent decades. Arctic summers were likely sea ice-free during these much warmer years. 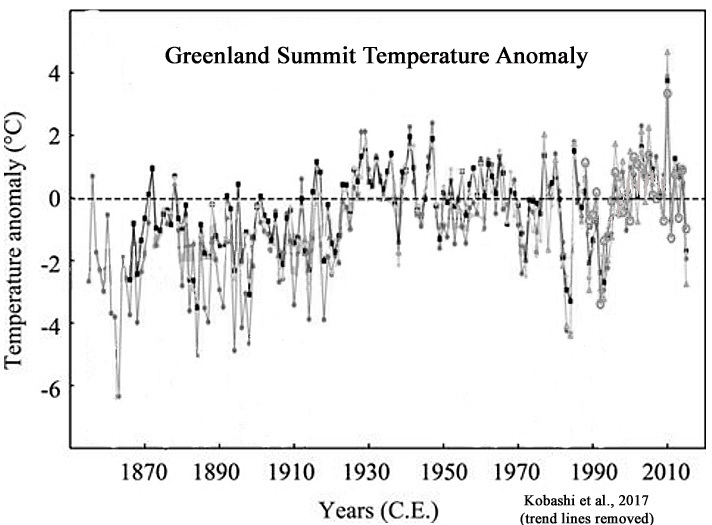 Greenland has warmed 20-24 times the magnitude reached during the last century multiple times. During these abrupt warming events (10°C to 15°C temperature rise within decades), CO2 concentrations were stable and hovered below 200 parts per million. 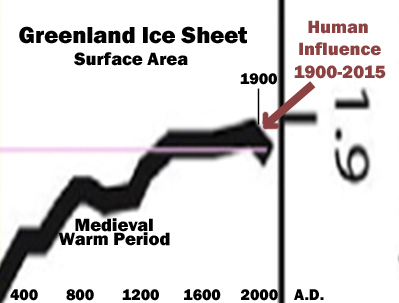 This indicates that the Arctic climate is not significantly influenced by CO2 variations nor human activity in general, as the past 100 years are well within the range of natural variability. Whenever one discusses Greenland, it is sensible to also refer to the Fernandez & Fernandez 2017 paper on Glacier melts. 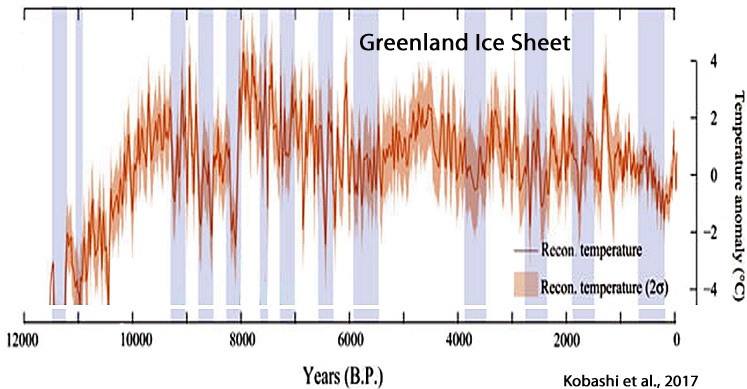 This paper examined the Greenland Glaciers and their rate of melting as from around 1870 to 2005, and concluded that the rate of Glacier retreat significantly slowed down as from about 1946. 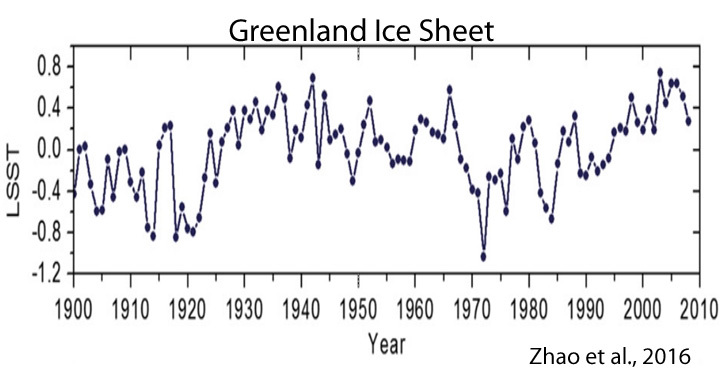 It is important to note that just as CO2 levels began rising the rate of Glacier retreat dramatically slowed, rather than accelerated. The average total retreat of the glaciers was some 1,334 metres. Of this retreat some 1,062 metres of retreat had taken place by 1946, and the retreat after 1946 was only some 272 metres. Thus one will note that approximately 805 of the retreat occurred in about 76 years between 1870 to 1946, and only about 20% of the retreat in the 6o years between 1946 and 2005.
cially in 1985 (1.5 m yr−1). 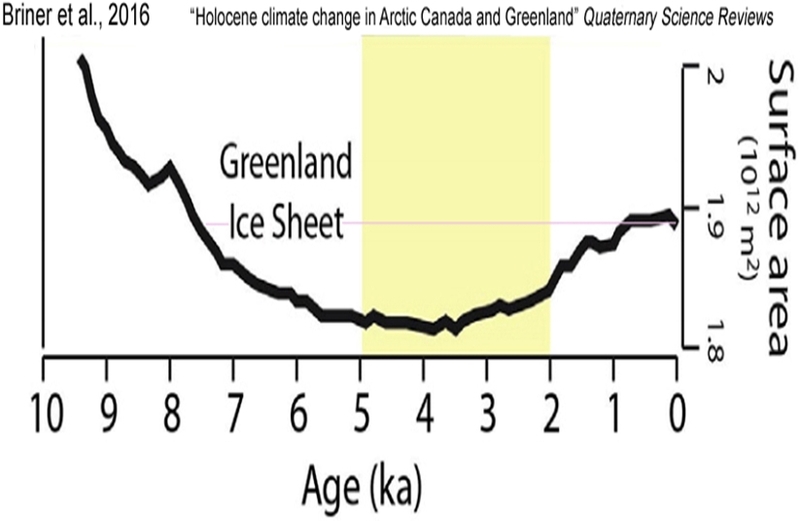 Thus the Western Tungnahryggsjökull showed a reduction in the rate of retreat from 19.5 metres per year, down to just 1.5 metres per year after 1946. 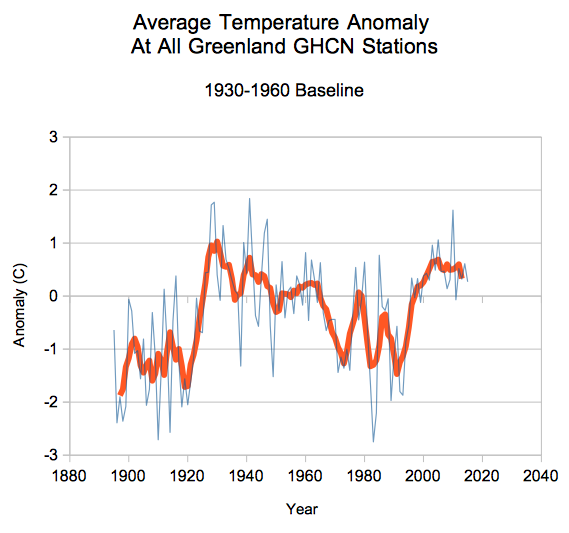 Of course, this is not particularly surprising since apart from one solitary year this century (2010), the warmest period in Greenland these last 150 years was in the 1930s/1940s. Thanks for the link to your very interesting article. 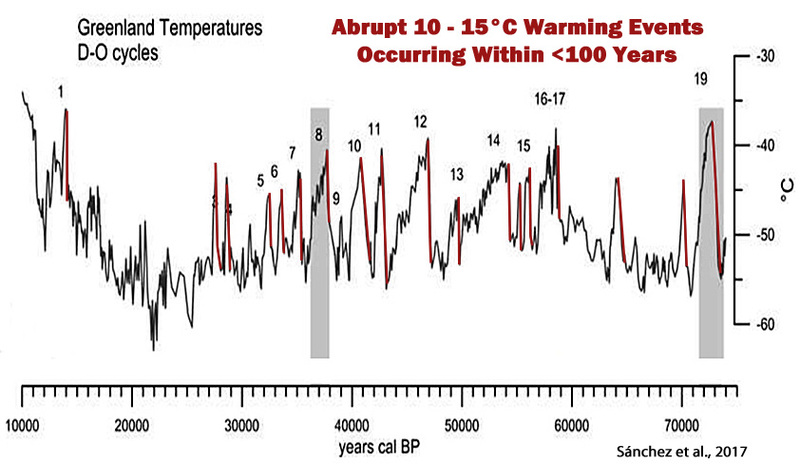 Observational evidence of CO2 ‘trapping the heat’? 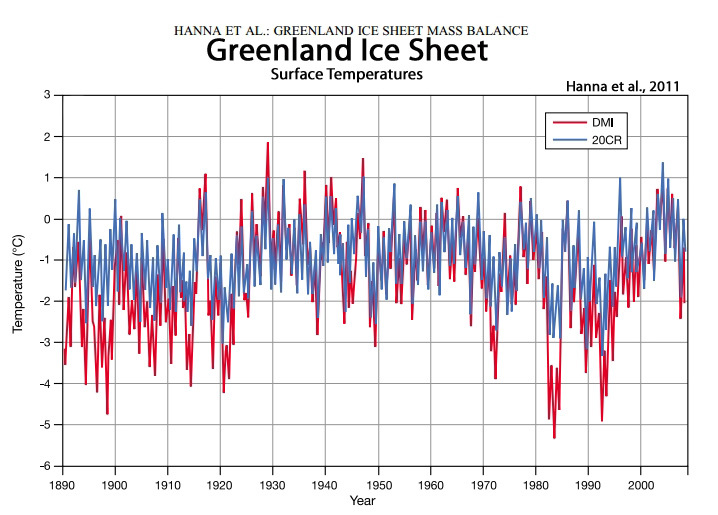 If CO2 is supposed to ‘trap the heat’, it must surely ‘trap the heat’ of an El Niño? If so then why are the heating effects of all those El Niños so short lived? If that’s the best CO2 can do, well I can live with that. CO2 doesn’t trap heat at all. It absorbs Infrared Radiation,NOT heat. I agree but the others may wish to comment with some blather from their belief in the unsubstantiated theory of CO2 warming the planet. I wouldn’t like them to feel unwanted here as I find their squirming around try to cover all the bases and missing very amusing. But then again some call me a sad f***er for liking such entertainment. Was that a sad try to troll AGW proponents reading this blog? Still the plaintive plea for attention, hey seb-troll. ZERO proof of any CO2 warming of atmosphere or ocean…. EMPTY. Just the continued MINDLESS YAPPING of a brain-washed little AGW troll. Ant AGW proponents reading this blog would be cringing from your EMBARRASSING inability to support the very basis of their religion.